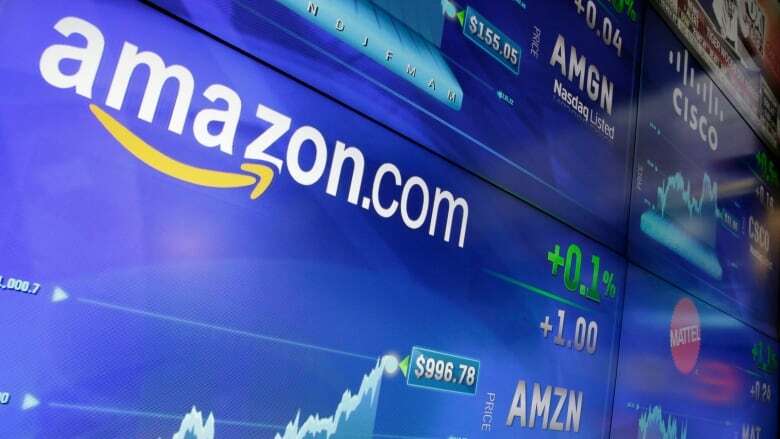 While 100 cities across North America are thought to be preparing bids to convince Amazon to locate their second headquarters in their city, Seattle technologist Jeff Reifman tells CBC Calgary that having Amazon locate a headquarters in your city isn't all it's cracked up to be. While 100 cities across North America are thought to be preparing bids to convince Amazon to locate their second headquarters in their city, Seattle resident, technologist and activist Jeff Reifman says that having Amazon locate a headquarters in your city isn't all it's cracked up to be. Reifman spoke to David Gray on the Calgary Eyeopener. This interview has been edited for clarity and length. Q: What has Amazon meant to Seattle? A: Over the last five or six years, its market value has gone up 20 times, and so suddenly it's taken over this gigantic area in the middle of the city. We've had, at times, over 70 cranes on the skyline. And suddenly this burgeoning metropolis is right where people used to drive through town — and it used to be pretty quiet. Cities want Amazon's HQ2 jobs, but what about its culture? Q: But that's the dream for 100 cities bidding for Amazon: $5 billion and 50,000 employees. What's so bad about that? A: Over 20 years, that would be great. But crammed into five years? What's happened is that many things about our quality of life have been eroded. Driving around the city used to be pretty easy. Now everything is crowded, stressful and slow. There's a study that shows that Seattle drivers spend 58 hours a year looking for parking. Additionally, one of the common commutes on I-5 has gone from 35 minutes to over two hours in the morning. Q: All of this because of 40,000 new employees? A: You're talking about a population increase in the city of about seven per cent, roughly, in a very small area in the middle of town — and so it's had huge impacts. One of the biggest problems for people — in addition to traffic — has been affordability. So you bring in 40,000 new people getting paid $100,000 or more, they start renting all the nice apartments and buying up all the houses. Also, landlords start kicking their tenants out. Since 2010, we now have double the number of unsheltered homeless [that we used to have], so people [living] on the street. Everywhere you go in Seattle, there's homeless. There's a survey that was done of them that asked, where did you live before you came to Seattle? And 70 per cent of these homeless are newly homeless. They used to live in Seattle and King County, and now they're just out on the streets because they've been kicked out of their apartments, because they couldn't afford to keep up with the rents. Q: Is it fair to blame Amazon for social ills? Surely the government shares some of the blame for issues like transportation and affordable housing? Didn't Amazon build a streetcar? A: Not exactly. The streetcar was actually funded in part by Paul Allen, who is a Microsoft billionaire founder. He actually pushed the city to build this streetcar long before Amazon really took off . No one ever really rode it. Then Amazon just sprouted in this location. Now the city is going to be spending $177 million to expand and connect the streetcar to other areas. Q: Could it be that Seattle wasn't ready for Amazon? The argument I think you might hear in Calgary is that Calgary is. We have real transit. We have office space empty downtown, ready for these jobs, and frankly, we're used to having a lot of jobs that pay a lot of money in downtown Calgary. A: I've been to Calgary — certainly there's an opportunity to expand. And Calgary is familiar with boom and bust cycles. The next few years [with Amazon] will be a boom. I'm not sure I could tell you whether you're ready. I just know the impacts are far beyond what you thought of. And you say Seattle wasn't ready for Amazon — you could say Calgary might be, but I would argue that no city is ready for this at this speed. Amazon wants to get on the ground and move fast, and they're going to bring in people from the outside who are making more money than your median income. And it is going to have profound impacts. It will be good for property owners for a while, until they figure out they can't afford the property taxes long term. Mine, for example, are over $9,000. Q: Our odds are a bit better than one in 100. Should Calgary withdraw from the competition? A: I am suggesting that pretty much every city should consider avoiding this competition, but I really hope one doesn't listen, because I do not want Amazon to continue building HQ2 in Seattle.